Posted in Merit Box News. Posted in FPMT Community News, Merit Box News. 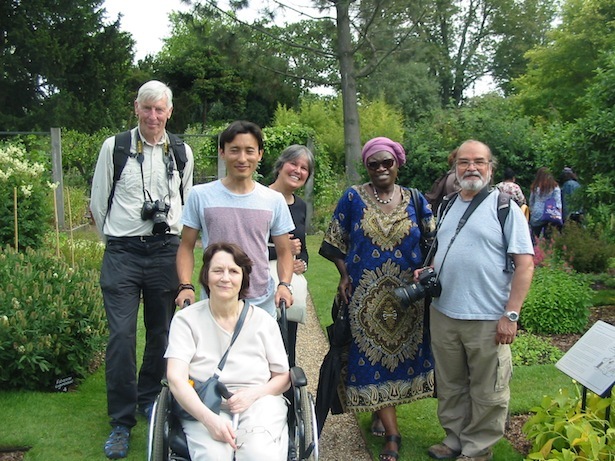 From the facilitator training retreat, Land of Joy, UK, July 2016. Photo courtesy of FDCW. Seven months ago, the International Merit Box Project awarded twenty-one grants to a variety of Dharma projects, made possible solely from the collected offerings of Merit Box practitioners around the world. One of these grants funded a retreat to train the first group of facilitators for the a.r.t. 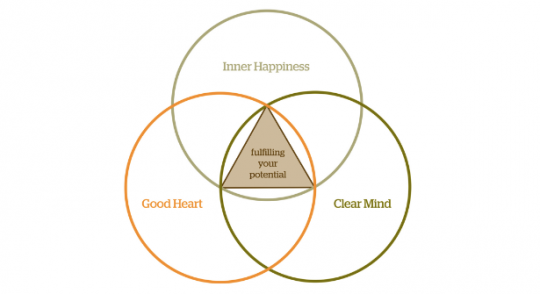 of Fulfillment, a new education program created by the Foundation for Developing Compassion and Wisdom (FDCW). According to FDCW, the a.r.t. of Fulfillment program “is a systematic inquiry into how you can lead a more fulfilling and meaningful life in the 21st century.” The international team of educators that designed the a.r.t. of Fulfillment program drew upon their expertise in a number of modern Western disciplines—including psychology, philosophy, and experiential learning—in addition to the wisdom tradition of Buddhism. It is designed both for a general audience and for those who have been involved in previous Universal Education courses. The a.r.t. of Fulfillment program map. Image courtesy of FDCW. 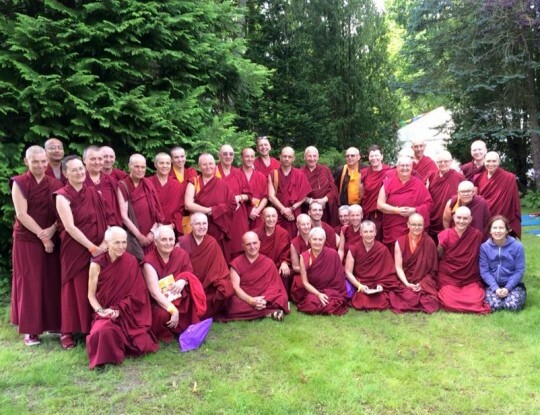 The flagship July 2016 training was held as a week-long retreat at Land of Joy in the UK, and consisted of a selected group of FPMT-registered teachers. Those at the retreat were offered the course first as participants before then training in facilitation methods. It is thought that experiencing the program from the perspectives of both student and instructor can better inform how to teach it. In addition to learning how to facilitate a.r.t. of Fulfillment courses, one of the broader training outcomes of the retreat was to expose participants to modern teaching methods that they could use in any class setting. “[The training was designed] to develop and experience new teaching skills, using modern, experiential methodologies,” says Grace Gyatso, director of the FDCW. Such skills could make for more effective learning for students taking traditional Buddhist courses in FPMT communities. Because of this training, which was supported by the generosity of Merit Box practitioners, there are now eleven certified a.r.t. of Fulfillment facilitators living in seven different countries. With facilitators spread out around the world, the program can potentially be offered on at least three different continents. So far, there are a number of a.r.t. programs scheduled in the UK in 2017. Ven. Tenzin Chokyi and Don Handrick are scheduled to the lead the first of these programs in the United States at Vajrapani Institute in California from June 30–July 9. 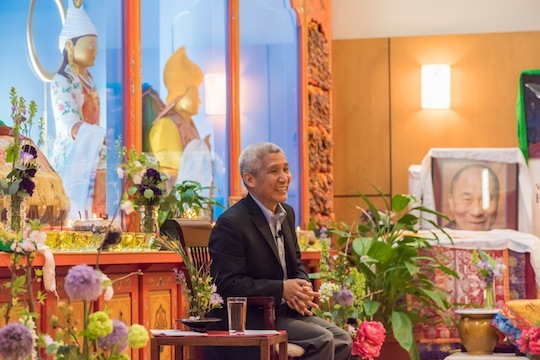 Dr. Thubten Jinpa was the first speaker for Maitripa College’s Mindfulness and Compassion Initiative in 2015. Photo by Chris Majors. The International Merit Box Project has reached its 15th year, and 21 new Merit Box grants totaling US$33,500 were awarded in May for qualified projects and initiatives spanning six countries. 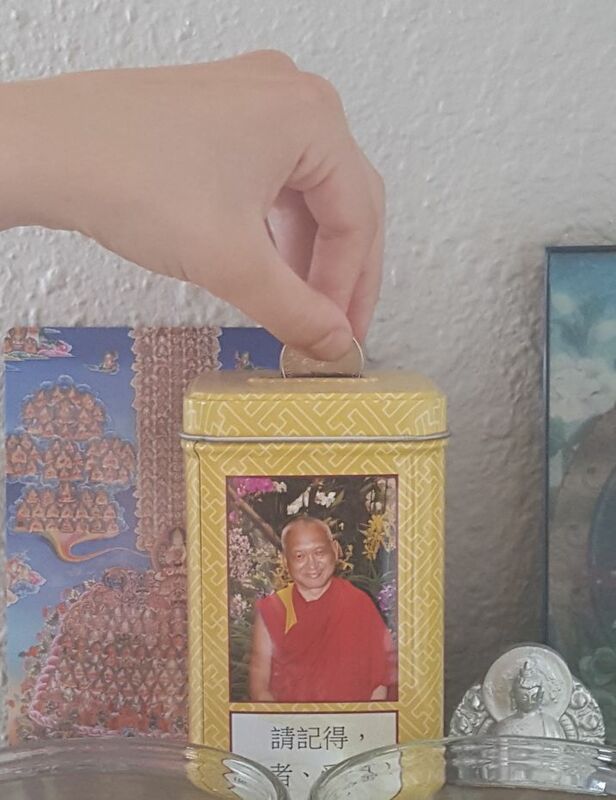 The funding for the grants comes from a year’s worth of accumulated Merit Box offerings by FPMT communities and individual Merit Box practitioners. Merit Box grants are given to projects, services and initiatives around the world that are working to fulfill the mission of FPMT. This year’s recipients were chosen out of a pool of 34 applications. 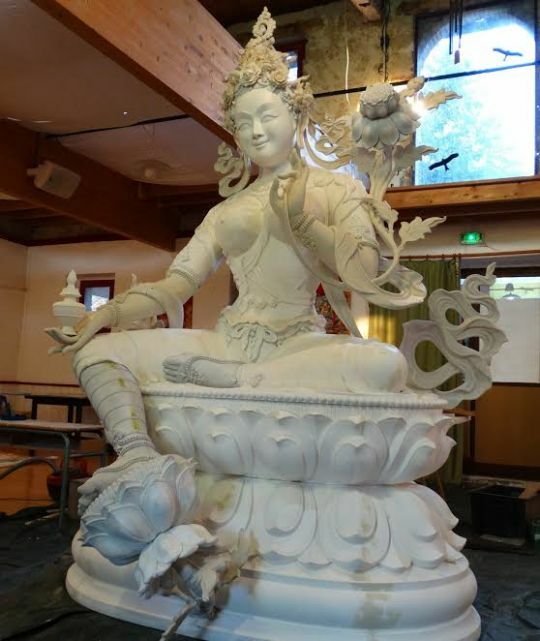 Five projects constructing holy objects, including Kurukulla statues at the Land of Joy retreat center in the UK and Ocean of Compassion Buddhist Center in California. Six book publishing projects, including a set of teachings by Lama Yeshe, and new editions of the Sanghata Sutra and Golden Light Sutra published in French. 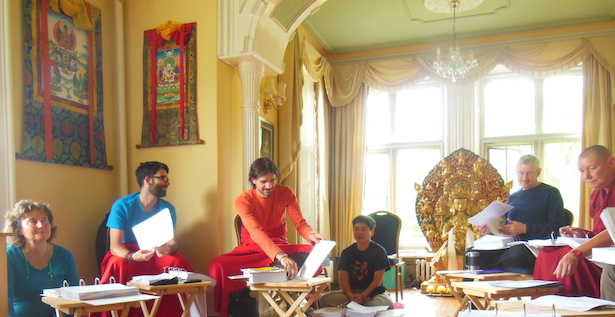 Tech support for the Light of the Path retreat in August at Kadampa Center in the US. 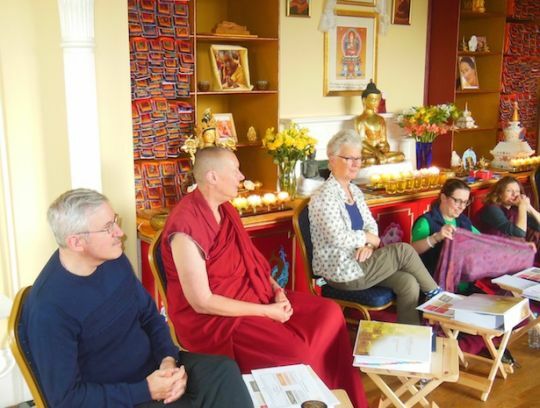 Initiatives like the Repaying the Kindness Project in the UK, Maitripa College’s Mindfulness and Compassion Initiative, and Foundation Learning Programme educator training facilitated by the Foundation for Developing Compassion and Wisdom. Support for Land of Calm Abiding, the Liberation Prison Project, MAITRI Charitable Trust’s Care for Animal Beings Project, and more. To see a complete list of the 2016 Merit Box grants, click here. To become a Merit Box practitioner, one can order a free Merit Box to have for your home, altar or desk. One then makes small offerings into your Merit Box throughout the year. Collectively, these offerings have made a big difference, giving nearly US$1 million to over 200 Dharma projects in the past 15 years. 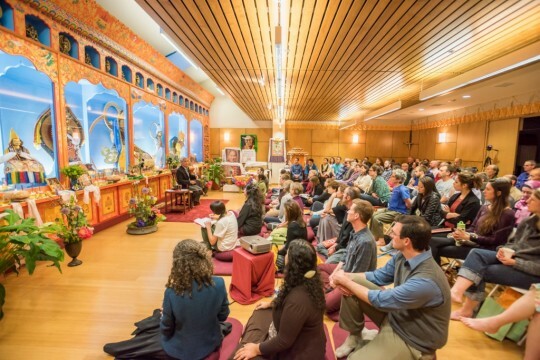 Posted in FPMT Community News, FPMT News Around the World, Merit Box News. 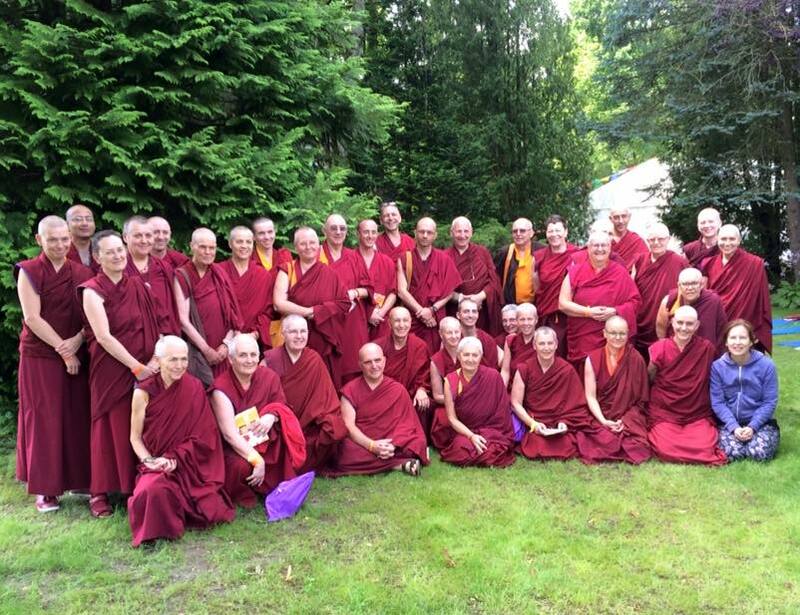 A Merit Box grant was given in 2015 for IMI Sangha to attend last year’s retreats with Lama Zopa Rinpoche in the Netherlands and Mexico (pictured here). Each year the International Merit Box Project has a collection and grant application season when Merit Box practitioners send in their accumulated offerings for the year, and Dharma communities, projects and services apply for grants. That season is closing at the end of March. From now until then, the International Merit Box Project hopes to see a lot of activity coming from around the globe through grant applications and donations. 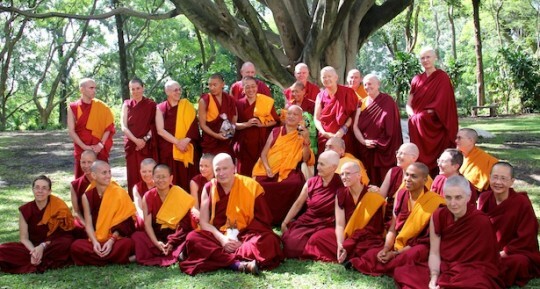 The Merit Box Project was created in 2002 to foster generosity practice for individuals, while serving to provide grant funding to projects that are working to fulfill the FPMT mission. To date over 200 projects, services and initiatives have been supported by Merit Box grants, with the amount reaching nearly 1 million US dollars collectively. Jamyang Buddhist Centre London’s Repaying the Kindness service project has been able to continue compassionately supporting care providers in part by Merit Box grants received in recent years. Merit Box grants have helped myriad forms of compassionate activity come to fruition and can be indispensable for communities facing challenges in their local fundraising. 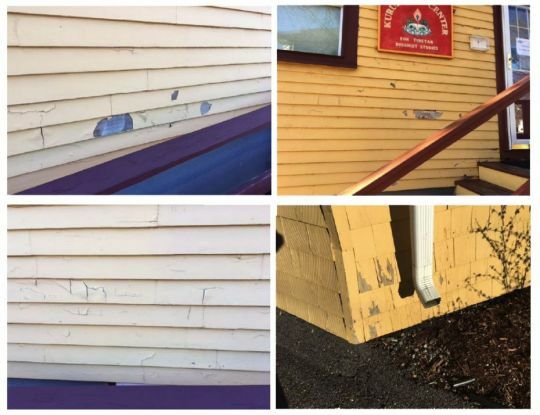 Grants have supported Sangha to attend retreats; the creation of new holy objects, book publications, service programs, and retreat cabins; much-needed repair work, and so on. All this coming from individuals placing small offerings into their Merit Boxes at home throughout the year. Now approaching its fifteenth grant season, the International Merit Box Project is an annual display of the effects of collective generosity within the FPMT community. One can join the international project and become a Merit Box practitioner by ordering a free Merit Box from the Foundation Store, or contribute immediately to the project online here. Donations received by March 31st, 2016 will be collected for the 2016 grant awards.